14 Popular Works. Composed by Various Artists. Edited by Trevor Wye. Arranged by Amy Dickson. Chester Woodwind Series. Classical. Book Only. Composed 2017. Chester Music #MUSCH86548. Published by Chester Music (HL.248442). ISBN 9781785586583. 9x12 inches. English(UK). 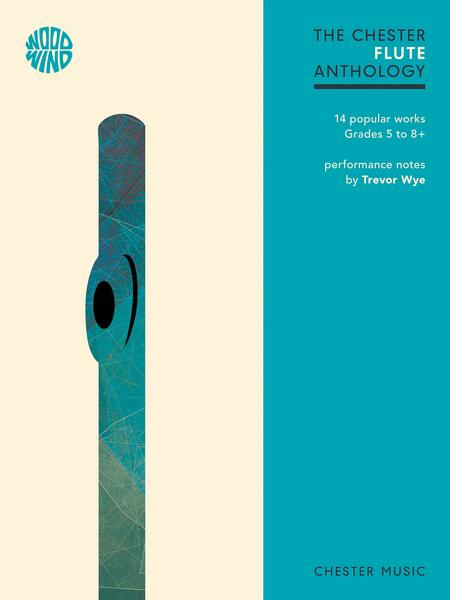 14 popular works for Flute with Piano accompaniment featuring selected works from the major exam board syllabuses, spanning Grades 5 to 8 and beyond. Includes pull-out part, and performance notes by Trevor Wye . of the product which implies it has all movements!!!). Still, it is well edited and it has many essential pieces. The really serious flutist is probably better off buying other collections (french conservatoire book has the Faure and much more, 20th century flute sonata collection has the whole Martinu and much more) and other whole sonatas separately (e.g. the Poulenc. There might be another collection which has the whole sonata).